Our range of products include ms round bars and ms bright round bars. 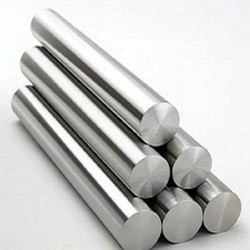 We are the leading trader and supplier of MS Round Bars. We make sure only the best grade of mild steel is used in the processing of these bars. We measure our performance against quality, quantity and delivery. Their flawless, scratch-resistant surface has a fine finish. They are resistant to corrosion and abrasion. MS Bright Round Bars offered is offered in diameter of 1mm to 2500mm as well as in lengths of 6 meters or above as demanded by the customers. 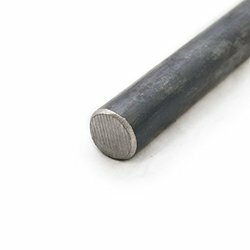 Here, we offer these round bars in material grades of 201, 304, 316L as well as in industry standard options of JIS, AISI, ASTM, DIN, EN and others. Some of its features include finding use in sanitary ware and other applications including for high strength components and furniture handles; choice of different sizes and grades as per customers specifications; come in close uniform tolerances and others.